Pyramid Saimira is doing a novel thing for children. The first day first show of Kuselan in Chennai has been earmarked for children from an orphanage in Chennai! The first ever public show of Kuselan was on Friday, August 1 at Pyramid Saimira run 1200- seater Woodlands Pyramid near Roypettah clock tower in Chennai. Children from many orphanages in Chennai city have been invited for this special screening. 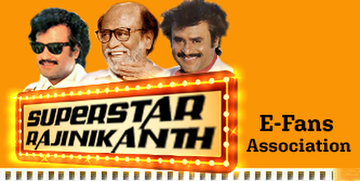 Says P.S Saminathan, the Managing Director of Pyramid Saimira: "Children of all ages are Rajinikanth's biggest fans. Kuselan is a family entertainer with a cute message on friendship. One of its major plus point is the scene where Vadivel acting as a crazy fan of the superstar meets him for the first time. Vadivel's comedy scenes with Rajini will bring the house down."